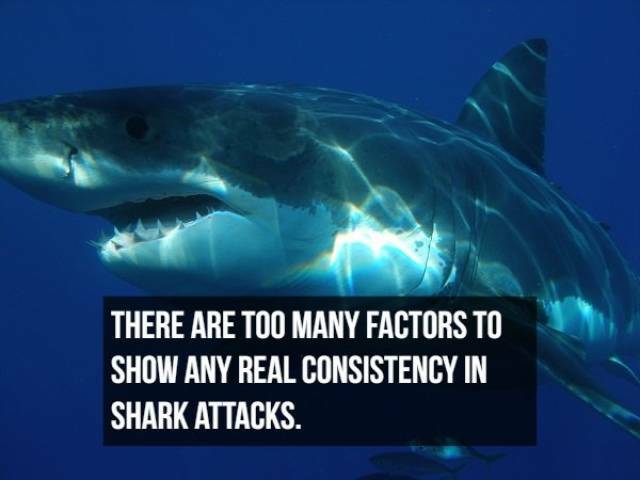 Unprovoked attack– For an attack to be considered to be unprovoked it must be in the natural habitat of the shark, on a live human, and done without any human provocation of the animal. 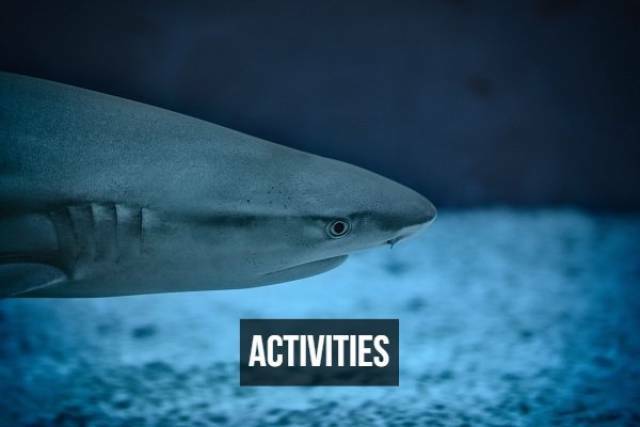 Provoked attack– The shark has been provoked via physical contact from a human. IE: Divers holding onto sharks, people feeding sharks, etc. 18 boat attacks occurred on both motorized and non-motorized boats. 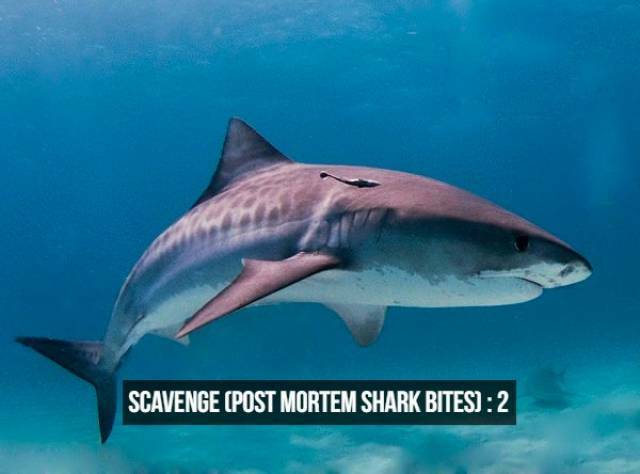 A scavenge incident involves a post-mortem bite (or bites) on a human. 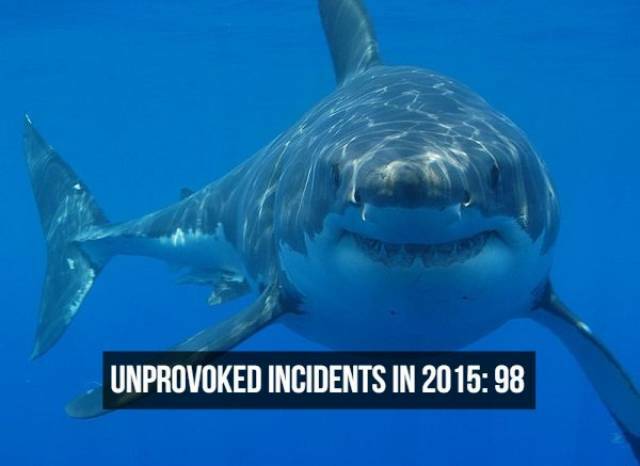 Although the 88 confirmed unprovoked attacks on humans in 2017 is a slightly higher number than the year prior, it is lower than the amount of unprovoked attacks on humans that took place in 2015. As far as fatalities resulting from unprovoked attacks, the yearly average is 6. 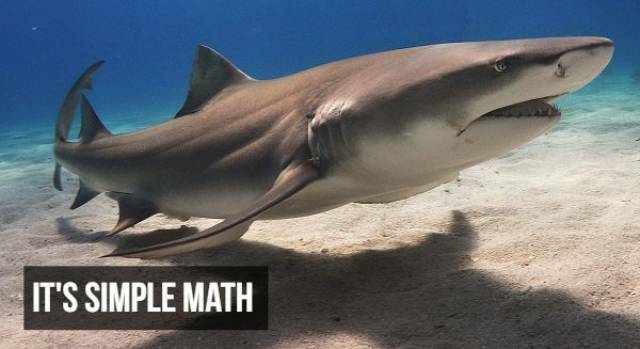 According to the ISAF, short-term trends don’t hold much significance because of the fact that there are too many variables that factor into the abundance of sharks in local waters and humans going into the water. 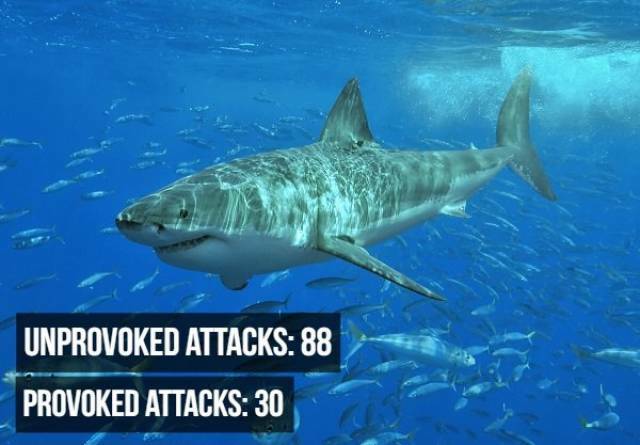 Of all unprovoked shark attacks that took place in 2017, the U.S.A. had the most, but they had zero fatalities. 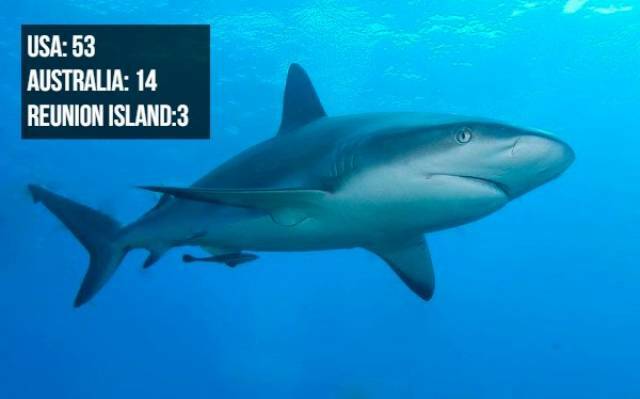 Australia had 1 fatality, while Reunion Island had 2. 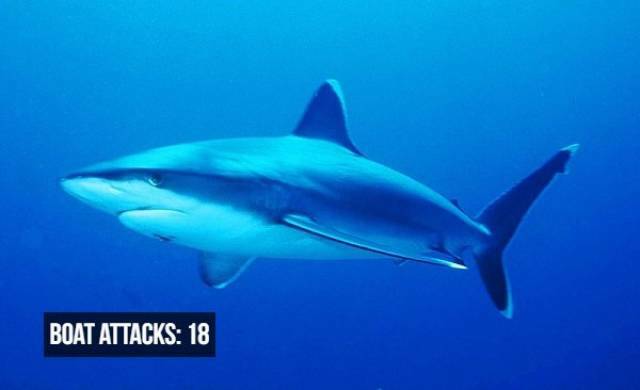 Australia averages 2 fatal shark attacks annually. 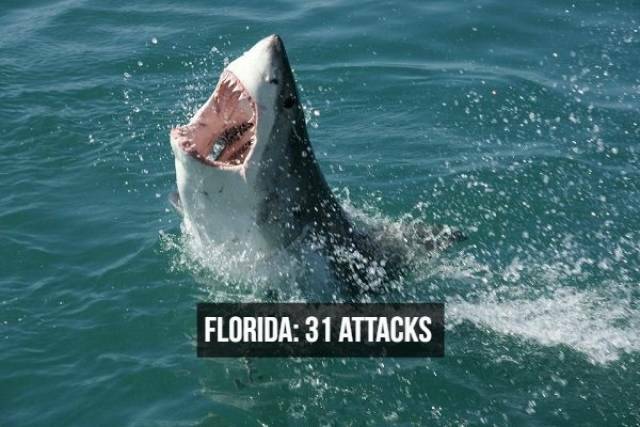 Of all U.S.A. attacks, Florida had the most with 31. South Carolina had 10, and Hawaii had 6. The five year annual average for Florida is 5.